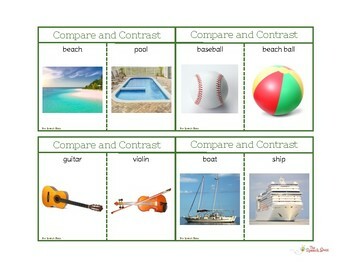 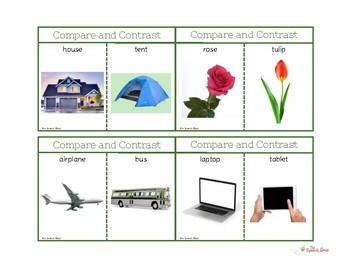 Photos are the perfect way to teach Comparing and Contrasting to your students. 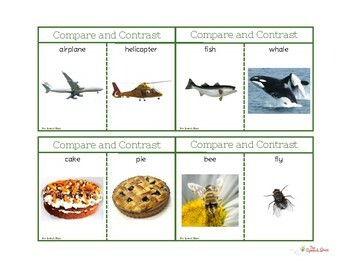 Photos are concrete and provide many students with better understanding and generalization of the vocabulary. 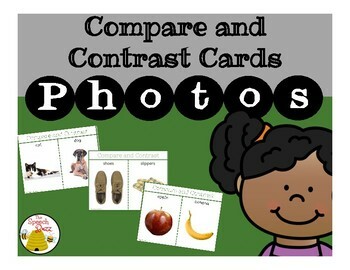 This is set of 60 Compare and Contrast Cards, some cue cards to use as support and some potential answers that could be used.